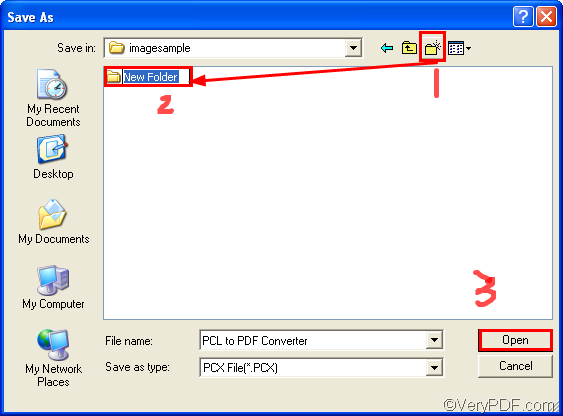 ← How to convert wmf to pcx? Firstly, open the Word document in MS Office. Then, press Ctrl+P on the keyboard. A dialog box named as Save As will appear on the screen as illustrated below. If the source document is complicated or large, it will take longer. 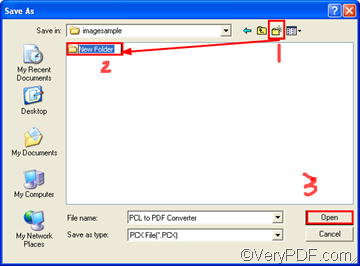 Thirdly, choose PDF as the output format in the Save as type combo box. In the Save As dialog box, you can choose the proper format in the Save as type combo box. 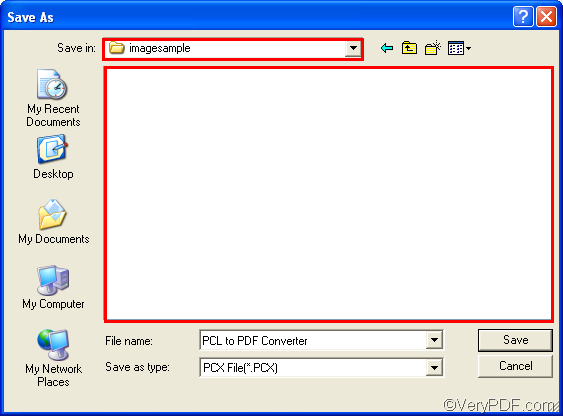 There are eight options on the list, which means that you can convert all the printable documents to any of the following formats including Acrobat PDF File, Postscript File, EPS File, IPEG File, TIFF file, BMP File, PCX File, and PNG File. 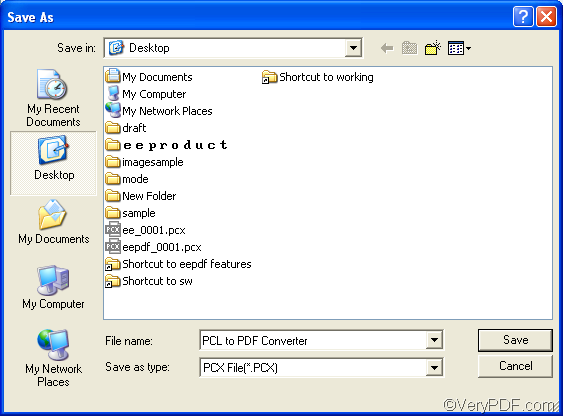 Fourthly, select a directory to export the PDF file. You can select the proper disk and folder in the Save in combo box, or create a new folder in the list box. To create a new folder, please click the second button on the right of Save in combo box.Then, a new folder will appear in the list box. Rename the new folder and click Open to open the new folder. 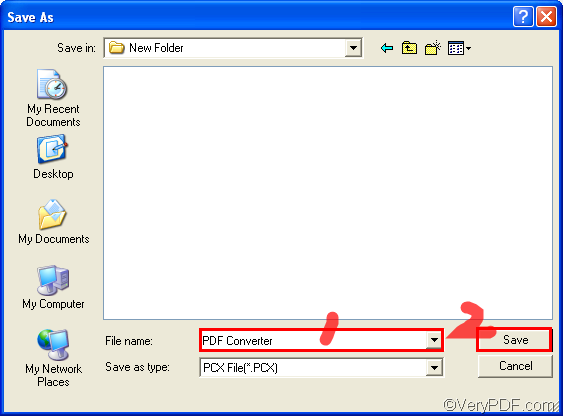 Fifthly, type the name for the file converted from Word to PDF in the File name combo box. And click Save to start converting. Your Word document will be immediately converted to PDF file. Meanwhile, it will also be printed in a printer if there is one connected to your computer. 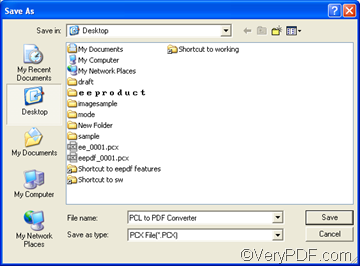 You can download VeryPDF docPrint and VeryPDF docPrint Pro from http://www.verypdf.com/artprint/index.html . Both contain docPrint PDF Driver. 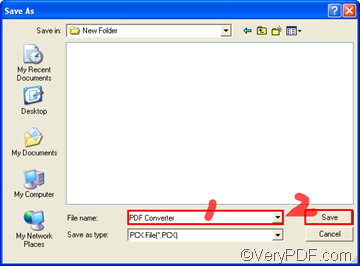 If you know other usages about how to use docPrint PDF Driver, please don’t hesitate to share with us at http://www.verypdf.com/wordpress. This entry was posted in docPrint Pro, PDF to Word Converter and tagged docPrint PDF Driver, VeryPDF docPrint, word to pdf. Bookmark the permalink.